A job advertisement with name as Jammu Kashmir Police Recruitment has been recently advertised by Jammu Kashmir Police. The most eligible and effective Applicants have to submit their application form for the 698 Vacancies of Sub Inspector on or before the end date that is 30th January 2017. Eligibility Criteria: Those candidates are having minimum qualification as Candidates who are willing to apply for Jammu Kashmir Police jobs must posses Engineering Degree (Electronics & Telecommunication / Electronics) / Graduation Degree from any recognized board or institution can apply. Salary & Pay Band: Shortlisted aspirants for Sub Inspector will receive pay scale of Rs. 9300 - 34,800/- With 4200/- Grade Pay which is offered by Jammu Kashmir Police. Assessment test round that will be organized by the recruitment panel of organization. Visit the web portal of organization which is http://www.jkpolice.gov.in. Dead Line of Online Application Is : 30-01-2017. Check Jammu Kashmir Police Recruitment Notification Here. A current advertisement titled as MOHFW Recruitment has been dissipated by Ministry of Health & Family Welfare to inform the Qualified and talented Indian Citizens for the 08 unoccupied posts of Health Policy Analyst, Senior Health Economist, Scientist. Eligible Job appliers can apply for MOHFW vacancy by submitting application form through offline mode till the closing date that is 21st January 2017. Eligibility Criteria: Job finders should have passed Graduation Degree / Post Graduation Degree / MBA / MD / Ph.D with good academic records from well recognized Institute / board. Age of applying candidates must be between 30 - 60 Years. Emoluments: Those applicants who will be recruited successfully against MOHFW they will attain salary of Rs. 1,50,000 - 1,80,000/- (Post 1), Rs. 60,000 - 90,000/- (Post 2), Rs. 60,000 - 80,000/- (Post 3), Rs. 60,000 - 70,000/- (Post 4), Rs. 50,000 - 55,000/- (Post 5), Rs. 30,000 - 35,000/- (Post 6), Rs. 40,000 - 50,000/- (Post 7) Per month from recruiting organization. First of all appliers you have to open the official site of the organization that is http://www.dhr.gov.in. This will open a list of the links having latest openings and candidates have to select the most appropriate link which will open the complete advertisement having further details regarding MOHFW Vacancies. Once the application form filled successfully Indian Citizens should send the application form along with documents to the email address : Vinod.kumar27@gov.in. Closing Date to Submit Hard Copy of Application Form Is : 21-01-2017. Check MOHFW Recruitment Notification Here. Ordnance Factory Itarsi is looking for the The most eligible and effective Indian Citizens to fill up 02 vacant posts of Medical Assistant. Recently, Ordnance Factory Itarsi has professed A latest job notification titled as OFI Recruitment. To complete this recruitment process Job seekers who are willing to join this organization can attend walkin interview on 10th January 2017 at the given venue. Required Education: Those job hunters have done the 12th from a recognized University or Institution may apply. Salary & Pay Band: Selected aspirants for Medical Assistant will get the salary pay band of Rs. 19,260/-. Job seekers are interested to apply for above mentioned positions firstly they need to go through the official website that is http://www.ofi.nic.in. Date for the Walk In Interview : 10-01-2017. A job notification regarding UUHF Recruitment has been dissipated by Uttarakhand University of Horticulture & Forestry to inform the Motivated & dynamic Indian Citizens for the 04 positions of Programme Coordinator, Subject Matter Specialist. Eligible Job searchers can apply for UUHF vacancy by submitting application form through offline mode before the time limit that is 12th January 2017. Education Needed: Job searchers should have Doctoral Degree / Post Graduation Degree (Animal Husbandry / Agronomy) or equivalent examinations from any recognized board / institute. Aspirants belongs to SC / ST category have to pay Rs. 500/- as application fee. What amount I’ll get as pay band? : Appointed aspirants for Programme Coordinator, Subject Matter Specialist posts will get remunerations of Rs. 37,400 - 67,000/- With 9,000/-, Rs. 15,600 - 39,100 With 5,400/-Grade Pay which is offered by Uttarakhand University of Horticulture & Forestry. Job searchers who wish to apply for UUHF Jobs needs to go on official site that is http://www.uuhf.ac.in. Last Date for the Submission of Application : 12-01-2017. Check UUHF Recruitment Notification Here. A job notice titled as MNLU Recruitment has been dissipated by Maharashtra National Law University. Enthusiastic and talented Individuals have to submit the form through online mode for the 49 unoccupied posts of Data Entry Operator, MTS, Professor till the closing date that is 16th January 2017. Science ) / Ph.D. (LAW) / LL.D Degree / MBA (Chartered Accountant / Cost Accountant) / PG Diploma from any recognized board or institution can apply. SC / ST / JT(A) / NT(B) / NT(C) & NT(D) candidates will be exempted from the payment of application fee. The maximum age for the candidates who are going to apply for Jobs is 55 years(Post 5), 35 years (Post 6-10,15), 30 years (Post 11,12,16,17), 50 years (Post 13), 40 years (Post 14,18,19,20), 28 years(Post 19), 45 years(Post 21). Salary Package: Candidates who will be recruited successfully they will get attractive and satisfying salary of Rs. 37,400 – 67,000/- With 10,000/9000/- Grade Pay (Post 1,2,5), Rs. 15,600 – 39,100/- With 6,000/- Grade Pay (Post 3,4,21), Rs. 9,300 – 34,800/- With 5400/- Grade Pay (Post 6,7,10,13,15,16,18,20), Rs. 5200 - 20,200/- With 2800/- Grade Pay (Post 8,19), Rs. 20,000/- (Post 9,11), Rs. 16,000/- (Post 12), Rs. 30,000/- (Post 14), Rs. 25,000/- (Post 17) from MNLU. Job seekers are interested to apply for above mentioned positions firstly they need to go through the official website that is http://www.nlumumbai.edu.in. Commencement of Online Application Form Is : 27-12-2016. Closing Date of Online Submission of Applications Form Is : 16-01-2017. Check MNLU Recruitment Notification Here. A job notice for UPMSN Recruitment has been declared by Uttar Pradesh Madhyamic Shiksha Nideshalaya. Eligible and well talented Candidates have to submit the form through online mode for the 9342 Vacancies of Teacher before the time limit that is 26th January 2017. Qualification Details: Job seekers should have completed the education as Engineering Degree (Computer Science / Computer Application) / Graduation Degree (History / Political Science / Geography / English Litreture / Economics) / B.Ed. with good academic records from well recognized Board/ University/ Institute as per the applied posts. Aspirants belongs to SC/ ST category have to pay Rs. 40/- as application fee. The candidate’s age should be in between 21 – 40 Years As on 01-07-2016. Salary & Pay Band: Shortlisted aspirants for Teacher will receive pay scale of Rs. 9,300 - 34,800/- With 4600/- Grade Pay which is offered by Uttar Pradesh Madhyamic Shiksha Nideshalaya. Visit the web portal of organization which is http://www.upseat.in. Commencement of Online Application Form Is : 26-12-2016. Last Date For Applying Online Is : 26-01-2017. Check UPMSN Recruitment Notification Here. Jobs Hunter can also get latest updates about UPMSN Vacancies by bookmarking this page using CTRL+D. A latest job notification in regard to OFFICE OF THE CHIEF DISTRICT MEDICAL OFFICER MAYURBHANJ Recruitment has been advertised by OFFICE OF THE CHIEF DISTRICT MEDICAL OFFICER MAYURBHANJ to inform the Achievement oriented and skilled Job searchers for the 65 positions of Jr.Lab Technician, Jr.Radiographer, Pharmacist. Eligible Contenders can apply for OFFICE OF THE CHIEF DISTRICT MEDICAL OFFICER MAYURBHANJ vacancy by submitting their prescribed application form till the last date that is 20th January 2017. Essential Qualification: Those job hunters have done the 7th / 12th / Diploma (Pharmacy / Medical Radiation Technology) from a recognized University or Institution may apply. Age of applying candidates must be between 21 - 32 Years As on 22-12-2016. Salary Structure: Those contenders who will fulfill the required eligibility criteria for OFFICE OF THE CHIEF DISTRICT MEDICAL OFFICER MAYURBHANJ Vacancies will get a monthly consolidated of Rs. 5,200 - 20,200/- With 2400/1700/- Grade Pay as per the rules of the organization. Visit the web portal of organization which is http://www.oddistricts.nic.in. Closing Date to Submit Hard Copy of Application Form Is : 20-01-2017. Check OFFICE OF THE CHIEF DISTRICT MEDICAL OFFICER MAYURBHANJ Recruitment Notification Here. A newest career advertisement regarding Raj Gramin Pashupalan Vikas Sansthan Recruitment has been circulated by Raj Gramin Pashupalan Vikas Sansthan to inform the Hard working and result oriented Contestants for the 9220 Vacancies of Assistant, District Manager. Eligible Jobs Hunter can apply for Raj Gramin Pashupalan Vikas Sansthan vacancy by submitting their applications through offline mode before the last date that is 5th January 2017. Education Criteria: Aspirants must have 10th / 12th / Graduation Degree / Post Graduation Degree / MBA from well recognized Board/ University/ Institute according to post. Candidates applying for any aforesaid post and belongs to All category shall be required to pay an application fee of Rs. 1000/-(Post 1), 800/-(Post 2), 600/-(Post 3)/-. Contenders who want to join this organization they should be in between 21 to 40 Years (Post 1), 18 to 40 Years (Post 2,3). Salary Details: After appointment of the appliers, the organization will pay to them Rs. 15,000/- (Post 1), Rs. 12,000/- (Post 2), Rs. 10,000/- (Post 3). Assortment of job finders for above posts will be based on their appearance in Merit list, Interview which will be conducted by Raj Gramin Pashupalan Vikas Sansthan on stipulated date. Firstly, approach on web portal of Raj Gramin Pashupalan Vikas Sansthan that is http://www.rajgraminpashupalan.com. This will open a list of the links having latest openings and candidates have to select the most appropriate link which will open the complete advertisement having further details regarding Raj Gramin Pashupalan Vikas Sansthan Vacancies. Regional Office, F-126, Sine Star Central Spine, Vidhyadhar Nagar Jaipur Rajasthan-302023. 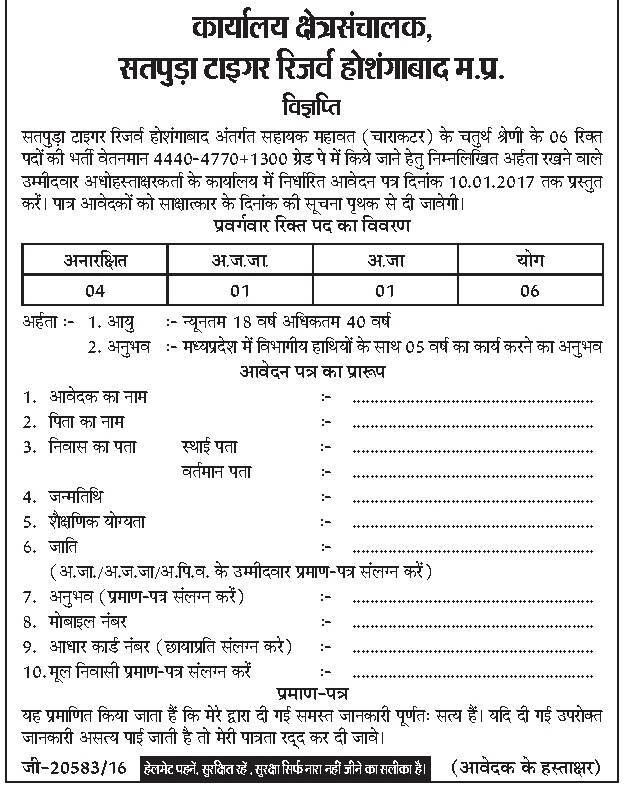 Last date to submit application form : 05-01-2017. A current advertisement in regard to City Sessions Court Calcutta Recruitment has been declared by City Sessions Court Calcutta to inform the Eligible and well talented Job appliers for the 13 vacant posts of Process Server, Peon. Eligible Applicants can apply for City Sessions Court Calcutta vacancy by filling offline application form before last date which is 15th January 2017. Education Needed: Aspirants must have 8th from well recognized Board/ University/ Institute according to post. Contenders who want to join this organization they should be in between 18 to 40 Years 01-01-2016. Salary to Employees: Successfully recruited candidates will receive salary of Rs. Rs. 5400 - 25,200/- With 2300/- Grade Pay (Post 1), Rs. 4900 - 16,200/- With 1700/- Grade Pay (Post 2) from recruiting organization. Engagement of aspirants will be based on their performance in Written Exam, Personality Test that will be driven by the recruitment committee of City Sessions Court Calcutta. Closing Date to Submit Hard Copy of Application Form Is : 15-01-2017. A current advertisement with name as District & Session Court Rangareddy Recruitment has been disclosed by District & Session Court Rangareddy to inform the Dedicated and result oriented Contenders for the 91 unoccupied posts of Process Servers. Eligible Job finders can apply for District & Session Court Rangareddy vacancy by filling offline application form before the end date which is 21st January 2017. Education Info: Job searchers should have 7th or equivalent examinations from any recognized board / institute. SC / ST / PH / Ex-Servicemen candidates will be exempted from the payment of application fee. Age of applying candidates must be between 18 to 34 Years As on 01-07-2016. Salary & Pay Band: Candidates who will be recruited successfully they will get attractive and satisfying salary of Rs. 15,460 - 47,330/- from District & Session Court Rangareddy. Selection of applicants for Process Servers Will be based on Written Exam, Interview. Closing Date of Offline Submission of Applications Is : 21-01-2017. Check District & Session Court Rangareddy Recruitment Notification Here. 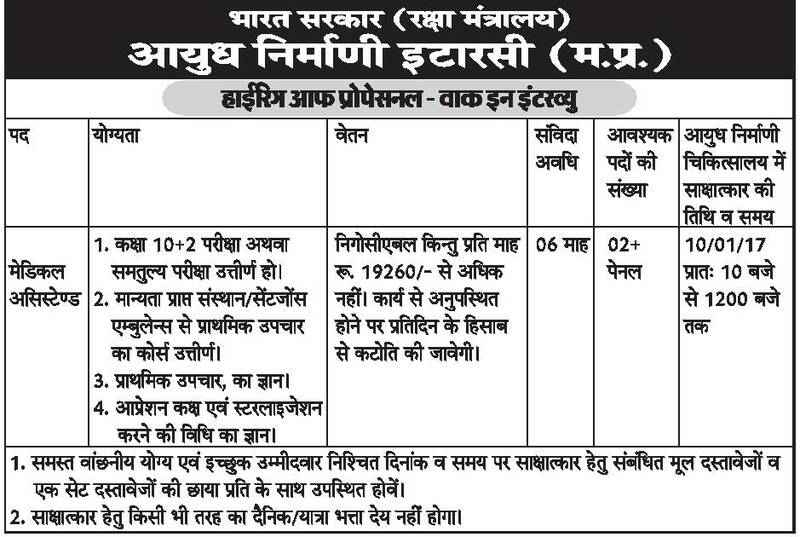 A latest career related advertisement in regard to Board of Revenue Uttar Pradesh Recruitment has been strewed by Board of Revenue Uttar Pradesh. Result oriented and hard working Candidates can apply by submitting application form for the 2432 vacant positions of Clerk, Tehsildar, ADM, SDM before the last date that is As soon as possible. Academic Details: Job searchers should have 12th / Diploma / Graduation Degree or equivalent examinations from any recognized board / institute. Pay Band for Board of Revenue Uttar Pradesh jobs: Those contenders who will fulfill the required eligibility criteria for Board of Revenue Uttar Pradesh Vacancies will get a monthly consolidated of Rs. 15,600 - 39,100/- with 6600/- (Post 5) 5400/-(Post 1, 6) Grade Pay, Rs. 5200 - 20200/- with 2800/- Grade Pay (Post 3, 4) as per the rules of the organization. First of all contenders visit the official website which is http://www.bor.up.nic.in. Last Date To Apply Online Is : As soon as possible. A vacancy notification with name as AHD UK Recruitment has been dispersed by Department of Animal Husbandry Uttarakhand to inform the Qualified and talented Job seekers for the 116 posts of Veterinary Pharmacist. Eligible Job searchers can apply for AHD UK vacancy by submitting their prescribed application form till the last date that is 23rd January 2017. Eligibility Criteria: Job searchers should have 12th / Diploma (Pharmacy) or equivalent examinations from any recognized board / institute. Aspirants belongs to SC / ST category have to pay Rs. 100/- as application fee. Age of contenders must be between 18 to 42 years As on 01-07-2016. Pay Band for Department of Animal Husbandry Uttarakhand jobs: Those contenders who will fulfill the required eligibility criteria for AHD UK Vacancies will get a monthly consolidated of Rs. 9,300 - 34,800/- With 4200/- Grade Pay as per the rules of the organization. Contenders the first and necessary step is to visit the official site of the organization that is http://www.ahd.uk.gov.in. Deadline to Submit the Application Is : 23-01-2017. Check AHD UK Recruitment Notification Here. Himachal Pradesh State Consumer Commission has broadcasted A job notice titled as Himachal Pradesh State Consumer Commission Recruitment to inform the Result oriented and hard working Jobs Hunter for the 12 Vacancies of Part Time Male, Female Members. 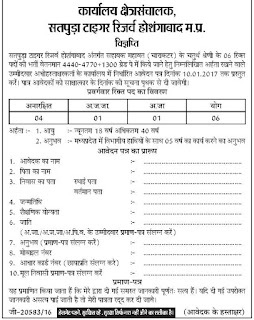 Eligible Candidates can apply for Himachal Pradesh State Consumer Commission vacancy by submitting their applications through offline mode till the last date that is 13th January 2017. Education Info: Job seekers should have completed the education as Graduation Degree (Economics / Law / Commerce / Accountancy) with good academic records from well recognized Board/ University/ Institute as per the applied posts. Contenders the first and necessary step is to visit the official site of the organization that is http://www.hpconsumercommission.nic.in. Last Date to Submit Filled-In Application : 13-01-2017. Check Himachal Pradesh State Consumer Commission Recruitment Notification Here. A vacancy advertisement titled as Govt Polytechnic College Krishnagiri Recruitment has been disclosed by Govt Polytechnic College Krishnagiri to inform the Motivated & dynamic Job finders for the 13 vacant posts of Lab Assistant. Eligible Candidates can apply for Govt Polytechnic College Krishnagiri vacancy by submitting their applications through offline mode before the time limit that is 30th January 2017. Academic Details: Aspirants must have 10th / ITI / NTC / NAC from well recognized Board/ University/ Institute according to post. The candidate’s age should not exceed 36 Years As on 01-01-2017. Emoluments: Successfully recruited candidates will receive salary of Rs. Rs. 5200 - 20,200/- With 2400/- Grade Pay from recruiting organization. Contenders, interested to apply against Govt Polytechnic College Krishnagiri recruitment they have to go through the Trade Test, Skill Test round that will be organized by the recruitment panel of organization. Visitors have to visit the Official Website to apply for Govt Polytechnic College Krishnagiri and that is http://www.gptuthangarai.in. Last Date to Submit Filled-In Application : 30-01-2017. Check Govt Polytechnic College Krishnagiri Recruitment Notification Here. A job advertisement as JUVNL Recruitment has been declared by Jharkhand Urja Vikas Nigam Limited. The most eligible and effective Jobs Hunter can submit application form through online mode for the 710 vacant posts of Line Man, Engineer before the end date which is 10th January 2017. Education Criteria: Those job hunters have done the ITI /Diploma / Engineering Degree (Electrical / Electronic / Mechanical / Civil / Tele-communication) from a recognized University or Institution may apply. Candidates applying for any aforesaid post and belongs to UR/EBC-I/BC-II category shall be required to pay an application fee of Rs. 1000/-. Aspirants belongs to SC / ST of Jharkhand domicil category have to pay Rs. 250/- as application fee. Age of applying candidates must be between 21 to 35 years (Post 1-6), 18 to 35 years (Post 7-10) As on 01-01-2016. What amount I’ll get as pay band? : Applicants who will be selected successfully against this recruitment they will attain impressive and satisfying salary of Rs. 9,300 - 34,800/- With 4500/5500/5600/- Grade Pay (Post 1-6), Rs. 5200 - 20,200/- With 2700/3000/- Grade Pay (Post 7-10) from recruiting organization. Engagement of applicants will be completed against this recruitment on the basis of their presentation in Computer Based Test, Written Test, Interview that will be conducted by the recruitment panel of organization. Contenders the first and necessary step is to visit the official site of the organization that is http://www.juvnl.org.in. This will open a list of the links having latest openings and candidates have to select the most appropriate link which will open the complete advertisement having further details regarding JUVNL Vacancies. Deadline for Submitting Online Application Form Is : 10-01-2017. Check JUVNL Recruitment Notification Here. A latest advertisement for JUVNL Recruitment has been strewed by Jharkhand Urja Vikas Nigam Limited. Qualified and talented Contestants have to submit their application form for the 372 Vacancies of Clerk, Assistant, Accounts Officer till the closing date that is 10th January 2017. Qualification: Job finders should have passed Graduation Degree (Science / Arts / Commerce) / CA / ICWAI / MBA (Finance) with good academic records from well recognized Institute / board. Salary & Pay Band: Applicants who will be selected successfully against this recruitment they will attain impressive and satisfying salary of Rs. 9,300 - 34,800/- With 5500/- Grade Pay (Post 1), Rs. 5,200-20,200/- With 3000/- Grade Pay (Post 2,3) from recruiting organization. Organization may conduct Computer Based Test, Interview, Merit list to shortlist the well suited contenders. Job searchers who wish to apply for JUVNL Jobs needs to go on official site that is http://www.juvnl.org.in. Online Registration Would Be Open From : 17-12-2016. Closing Date For Apply Online : 10-01-2017. A job notification titled as Rajasthan Prisons Department Recruitment has been circulated by Rajasthan Prisons Department to inform the Brilliant and qualified Jobs Hunter for the 16 vacant positions of Group D. Eligible Candidates can apply for Rajasthan Prisons Department vacancy by submitting their prescribed application form before the time limit that is 20th January 2017. Education Info: Candidates must have completed the 5th or its equivalent with good marks from a recognized University / Institution. Candidates applying for any aforesaid post and belongs to All Other category shall be required to pay an application fee of Rs. 100/-. Aspirants belongs to ST category of Rajasthan have to pay Rs. 50/- as application fee. The candidate’s age should be in between 18 Years to 35 Years As on 01-01-2017. Monthly Remuneration: Applicants who will be selected successfully against this recruitment they will attain impressive and satisfying salary of Rs. 6,670/- from recruiting organization. A Skill test, Interview will be conducting by Rajasthan Prisons Department to select candidates for above stated posts. Job searchers who wish to apply for Rajasthan Prisons Department Jobs needs to go on official site that is http://www.rajprisons.nic.in. This will open a list of the links having latest openings and candidates have to select the most appropriate link which will open the complete advertisement having further details regarding Rajasthan Prisons Department Vacancies. For Address details Go to advertisement. Deadline to Submit Hard Copy of Application Form Is : 20-01-2017. Check Rajasthan Prisons Department Recruitment Notification Here. A newest career related advertisement regarding Satpura Tiger Reserve Recruitment has been dispersed by Satpura Tiger Reserve to inform the Capable and Motivated Indian Citizens for the 06 Vacancies of Assistant Mahout. Eligible Job finders can apply for Satpura Tiger Reserve vacancy by submitting their applications through offline mode before the last date that is 10th January 2017. Monthly Remuneration: Successfully recruited candidates will receive salary of Rs. Rs. 4,440 - 4,770/- With 1300/- Grade Pay from recruiting organization. A Interview will be conducting by Satpura Tiger Reserve to select candidates for above stated posts. Firstly, approach on web portal of Satpura Tiger Reserve that is http://www.satpura-national-park.com. Last Date for the Submission of Application : 10-01-2017. S.N.Bose National Centre for Basic Sciences has advertised A latest job notification titled as SNBNCBS Recruitment to inform the Goal oriented and skilled Contenders for the 22 vacant posts of Project Assistant, Project Scientist. Eligible Contestants can apply for SNBNCBS vacancy by submitting application form till the last date that is 8th January 2017. Education Criteria: Job finders should have passed Engineering Degree (Electrical / Electronics / Instrumentation / Applied Optics) / Graduation Degree / Post Graduation Degree (Physics / Computer Science / Applied Physics) with good academic records from well recognized Institute / board. Age of aspirants applying for above Vacancy must be above 35 Years (Post 1,3,5), 40 Years (Post 4). Pay Scale: Candidates who will be recruited successfully they will get attractive and satisfying salary of Rs. 63,900/- (Post 1), Rs. 32,500/- (Post 2), Rs. 45,900/- (Post 3), Rs. 74,200/- (Post 4), Rs. 35,400/- (Post 5) from SNBNCBS. Firstly, approach on web portal of SNBNCBS that is http://www.newweb.bose.res.in. Last Date to Submit Hard Copy of Application Form Is : 08-01-2017. Check SNBNCBS Recruitment Notification Here. A newest career related advertisement titled as WBBB Recruitment has been circulated by West Bengal Biodiversity Board to inform the Goal oriented and skilled Aspirants for the 17 vacant posts of District Coordinator. Eligible Jobs Hunter can apply for WBBB vacancy by submitting application form through offline mode till the last date that is 9th January 2017. Qualification Details: Candidates must have completed the 12th or its equivalent with good marks from a recognized University / Institution. Age of contenders must be between 32 to 65 Years As on 01-01-2017. Pay Scale: Successfully recruited candidates will receive salary of Rs. Rs. 15,000/- Per Month from recruiting organization. Assortment of job finders for above posts will be based on their appearance in Interview which will be conducted by West Bengal Biodiversity Board on stipulated date. First of all, aspirants have to visit the web portal of organization that is http://www.wbbb.gov.in. Closing Date for Forwarding Filled Application Forms : 09-01-2017. Check WBBB Recruitment Notification Here.